At 6000 USD, Lab is not a cheap piece of software. But if the bulk of your work is processing the production's deliverables, it's an essential tool. 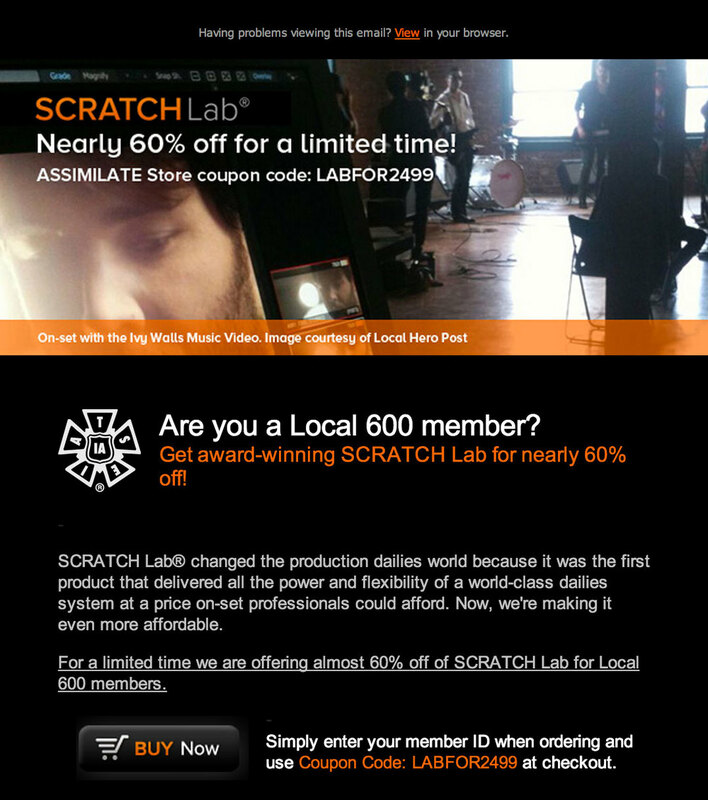 Assimilate is currently offering a massive discount on Lab for Local 600 members, down from 5999 to 2499. This includes 1 year of support and updates. After that, it's 1000 per year for continued service. Here's an interesting discovery though - you don't actually need to be a 600 member to get this discount. When prompted for Local 600 Member ID #, any 4 digit number will work. On the next screen, put in the coupon code "LABFOR2499" and voila - you just paid a lot less for Scratch than me and many others! Creating production deliverables on the set is often very challenging and complicated work and Scratch Lab gets the job done reliably and efficiently. I'm not sure how long this promotion is going on but it's quite the bargain for all users - union and non-union alike.